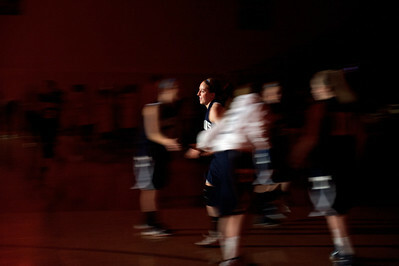 Daniel J. Murphy - dmurphy@shawmedia.com Olivie Jakubicek runs on to the court as a starter for Cary-Grove Thursday February 23, 2012 at McHenry West High School. DeKalb defeated Cary-Grove 31-29 for the IHSA class 4A sectional title. 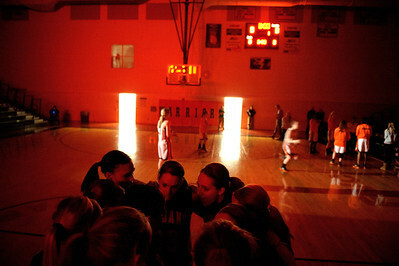 Daniel J. Murphy - dmurphy@shawmedia.com The Cary-Grove girls basketball team huddles up on the court as DeKalb starters are announced Thursday February 23, 2012 at McHenry West High School. DeKalb defeated Cary-Grove 31-29 for the IHSA class 4A sectional title. 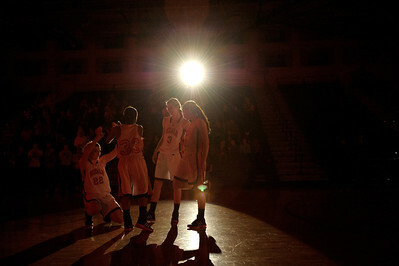 Daniel J. Murphy - dmurphy@shawmedia.com DeKalb's starters from left: Emily Bemis, Courtney Patrick, Courtney Bemis, and Taylor White gather under the spotlight before facing Cary-Grove Thursday February 23, 2012 at McHenry West High School. 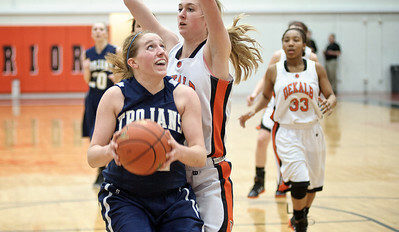 DeKalb defeated Cary-Grove 31-29 for the class 4A sectional title. 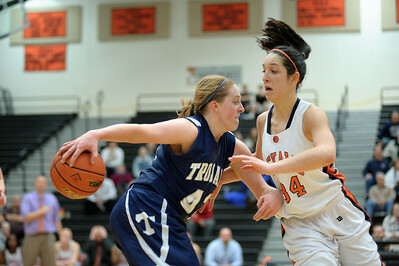 Daniel J. Murphy - dmurphy@shawmedia.com DeKalb's Rachel Torres (right) zips past Cary-Grove's Megan Leisten (left) in the first quarter Thursday February 23, 2012 at McHenry West High School. DeKalb defeated Cary-Grove 31-29 for the IHSA class 4A sectional title. 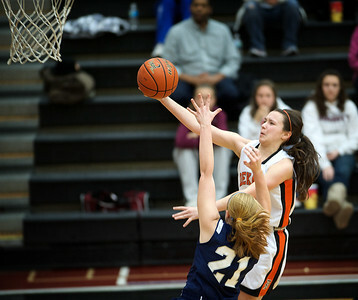 Daniel J. Murphy - dmurphy@shawmedia.com DeKalb's Courtney Patrick (right) steals the ball from Cary-Grove's Paige Lincicum (left) in the first quarter Thursday February 23, 2012 at McHenry West High School. DeKalb defeated Cary-Grove 31-29 for the IHSA class 4A sectional title. Daniel J. Murphy - dmurphy@shawmedia.com DeKalb's Taylor White (right) scores a lay-up over Cary-Grove's Sarah Kendeigh in the first quarter Thursday February 23, 2012 at McHenry West High School. DeKalb defeated Cary-Grove 31-29 for the IHSA class 4A sectional title. 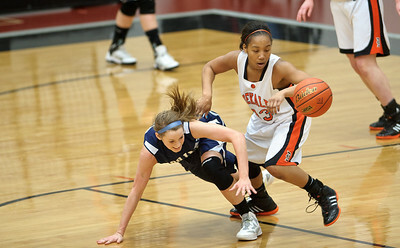 Daniel J. Murphy - dmurphy@shawmedia.com DeKalb's Taylor White keeps the ball from going out of bounds in the fourth quarter Thursday February 23, 2012 at McHenry West High School. DeKalb defeated Cary-Grove 31-29 for the IHSA class 4A sectional title. 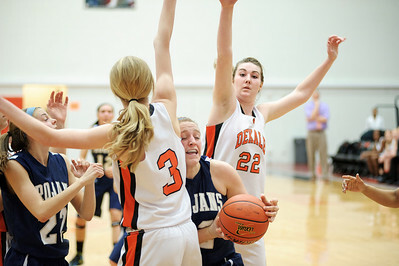 Daniel J. Murphy - dmurphy@shawmedia.com Cary-Grove's Olivie Jakubicek is stopped by DeKalb defender Courtney Bemis on a drive to the basket in the third quarter Thursday February 23, 2012 at McHenry West High School. DeKalb defeated Cary-Grove 31-29 for the IHSA class 4A sectional title. 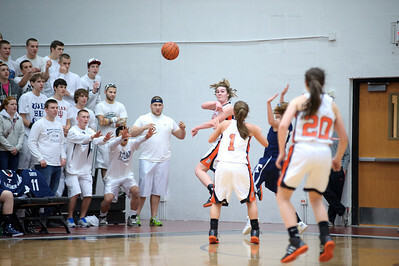 Daniel J. Murphy - dmurphy@shawmedia.com Cary-Grove's Olivie Jakubicek shoots over DeKalb defenders Courtney Bemis (left) and Courtney Patrick (right) in the third quarter Thursday February 23, 2012 at McHenry West High School. DeKalb defeated Cary-Grove 31-29 for the IHSA class 4A sectional title. Daniel J. Murphy - dmurphy@shawmedia.com Cary-Grove's Olivie Jakubicek plants her feet for a lay-up in the third quarter Thursday February 23, 2012 at McHenry West High School. DeKalb defeated Cary-Grove 31-29 for the IHSA class 4A sectional title. 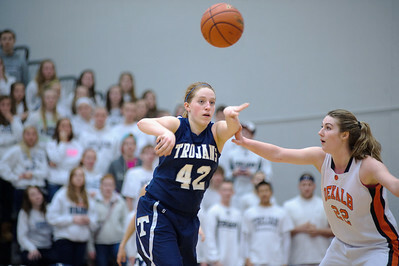 Daniel J. Murphy - dmurphy@shawmedia.com Cary-Grove's Olivie Jakubicek passes the ball to teammate Alyssa Lee in the fourth quarter Thursday February 23, 2012 at McHenry West High School. DeKalb defeated Cary-Grove 31-29 for the IHSA class 4A sectional title. Daniel J. Murphy - dmurphy@shawmedia.com The DeKalb student section sits courtside at halftime Thursday February 23, 2012 at McHenry West High School. DeKalb defeated Cary-Grove 31-29 for the IHSA class 4A sectional title. 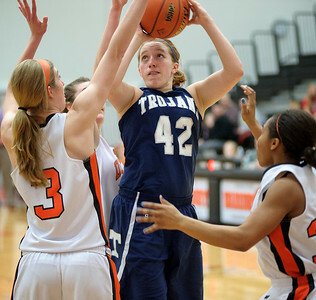 Daniel J. Murphy - dmurphy@shawmedia.com Cary-Grove's Olivie Jakubicek (left) powers through DeKalb's Rachel Torres (right) in the fourth quarter Thursday February 23, 2012 at McHenry West High School. DeKalb defeated Cary-Grove 31-29 for the IHSA class 4A sectional title. 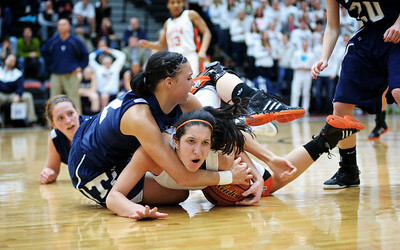 Daniel J. Murphy - dmurphy@shawmedia.com Cary-Grove's Joslyn Nicholson (top) fouls DeKalb's Rachel Torres (lower) in the fourth quarter Thursday February 23, 2012 at McHenry West High School. DeKalb defeated Cary-Grove 31-29 for the IHSA class 4A sectional title. 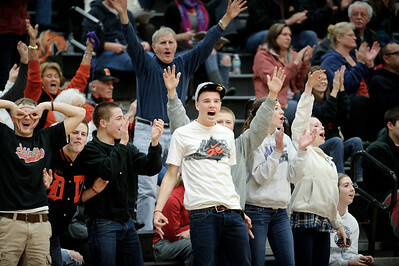 Daniel J. Murphy - dmurphy@shawmedia.com The DeKalb student section celebrates a three-point basket by Taylor White in the fourth quarter Thursday February 23, 2012 at McHenry West High School. DeKalb defeated Cary-Grove 31-29 for the IHSA class 4A sectional title. 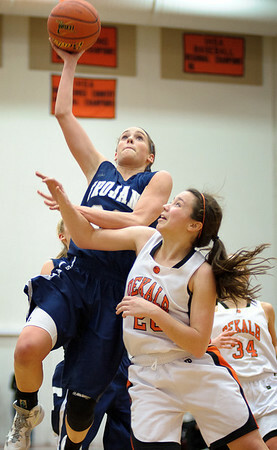 Daniel J. Murphy - dmurphy@shawmedia.com Cary-Grove's Paige Lincicum (left) atempts a basket over DeKalb's Taylor White (right) in the fourth quarter Thursday February 23, 2012 at McHenry West High School. DeKalb defeated Cary-Grove 31-29 for the IHSA class 4A sectional title. 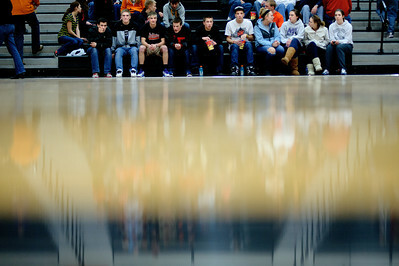 The DeKalb student section sits courtside at halftime Thursday February 23, 2012 at McHenry West High School. 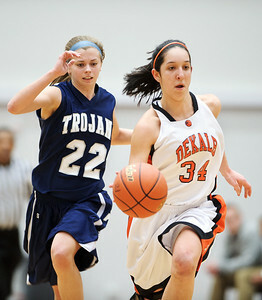 DeKalb defeated Cary-Grove 31-29 for the IHSA class 4A sectional title.